• At 10:01 a.m. on Oct. 8, a 45-year-old female reported someone had been through her truck at the 600 block of Quiet Creek Circle and stole her son’s wallet, $90, and her banking card. • At 2:18 p.m. on Oct. 8, a 21-year-old male reported his laptop was stolen from his vehicle when it was parked at the 700 block of Rombach Avenue. • At 4:16 p.m. on Oct. 8, a 22-year-old male reported some rummaged through his vehicle at the 800 block of East Columbus Street and stole some music CDs and a fire department knife. He advised the vehicle was left unlocked. • At 7:50 p.m. on Oct. 8, a 56-year-old female reported someone stole a very small knife from her vehicle at the 100 block of Lawnview Drive. She said someone trashed the inside and damaged the center console. • At 9:11 a.m. on Oct. 9, a 28-year-old female reported she had issues with a 22-year-old male. She advised that over the weekend he banged continuously on the door when she and her children were asleep. She also advised of an incident where the suspect “attempted to cause her to wreck on West Truesdell Street and almost caused her to go into oncoming traffic.” The victim advised he followed her home and became physical with her. She wanted to get a protection order against him, but didn’t want to press charges because “he would also just run from these charges as well.” The report indicates this is a typical pattern for the suspect as others have reported fearing him and he has harassed them. • At 9:38 a.m. on Oct. 9, police responded to a store on East Main Street on the report of a male subject stealing an unknown amount of items from the store. Police observed the security footage and saw the male suspect stick unidentified items under his clothes. • Police arrested a 32-year-old Midland male for allegedly receiving stolen property and failure to comply at 5:33 p.m. on Oct. 9. Authorities responded to the area on the report of a possible stolen motor vehicle; a pursuit started on North South Street and ended at Jonesboro Road. The suspect was taken into custody after a short foot pursuit. • At 2:50 a.m. on Oct. 10, police responded to a gas station on East Main Street on the report of shoplifting. Police observed security footage of a 20-year-old female suspect putting concealed items under her clothes. They were able to ID the suspect due to previous encounters. • At 7:19 a.m. on Oct. 11, a 36-year-old female reported someone stole two 30-inch televisions from her residence at the 200 block of Doan Street. 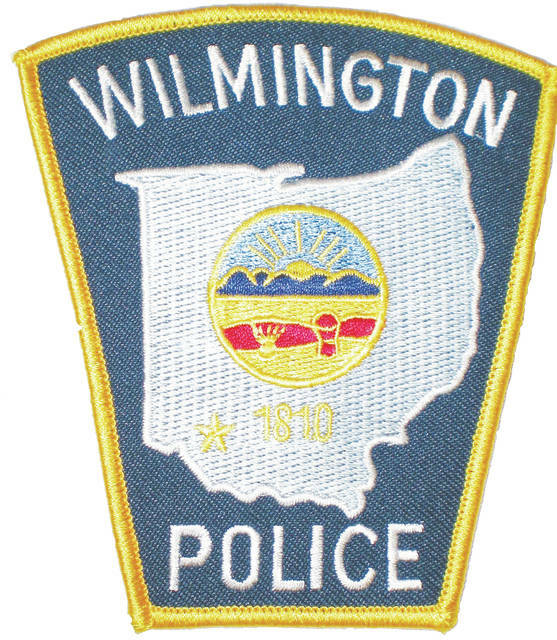 • A 58-year-old male reported someone spray-painted the side of a shed and silo at the 300 block of East Main Street. • Police responded to a restaurant on East Main Street on a welfare check on a female subject who had been the bathroom for some time at 6:05 p.m. on Oct. 11. Upon arrival, a 29-year-old female was found “laying partly on the floor” with a hypodermic needle in her left arm. Police rolled her over and did a “chin tilt” and she started to breathe. The needle fell out of her arm. Emergency services arrived and administered Narcan to the victim and she responded. When the EMT’s were readying her for the cot, she vomited and rolled in it. After she was transported, her vomit-covered clothes and purse were put in a bag. The subject later picked them up. • Police arrested a 21-year-old female for alleged criminal mischief after responding to a shoplifting complaint at the 900 block of South South Street at 7:58 p.m. on Oct. 11. • At 1:04 a.m. on Oct. 12, police received a report of shoplifting at a gas station on South South Street. The report lists a pack of cookies as stolen. • At 11:55 a.m. on Oct. 12, a 27-year-old male reported his white-blue pearl 2014 Hyundai Veloster was stolen from his residence at the 600 block of West Locust Street. • At 7:32 p.m. on Oct. 12, a 49-year-old male reported his gray Kona Mountain Fire bicycle from his residence at the 1-99 block of Farquhar Avenue. • At 8:03 p.m. on Oct. 12, police responded to a gas station on East Main Street on a shoplifting report. Upon arrival, police were advised a white male subject — with “ginger hair,” approximately 5 feet 6 inches, wearing a white-striped hoodie with red pants and white sneakers — came into the store and stole a pair of work gloves and a Sierra Mist. They were advised the subject then left on an orange bicycle withg a black backpack. • Police arrested a 27-year-old New Vienna female for allegedly driving while under the influence at the 1-99 block of Newham Street at 10:39 p.m. on Oct. 12 after conducting a traffic stop. According to the report, police seized a bag of two pills, a bag with nine pills, and another bag with 10 pills. • At 9:37 p.m. on Oct. 13, police responded to the 400 block of Columbus Street on a theft report. According to the report, a 24-year-old had left a jacket and purse in “the woods earlier in the day when she was on an adventure.” The officers transported the victim and her sister to the area where she wa, but couldn’t find the items. • Police arrested a 36-year-old Batavia male for criminal damage after responding to a burglary in progress at the 1100 block of South South Street at 10:47 p.m. on Oct. 13.